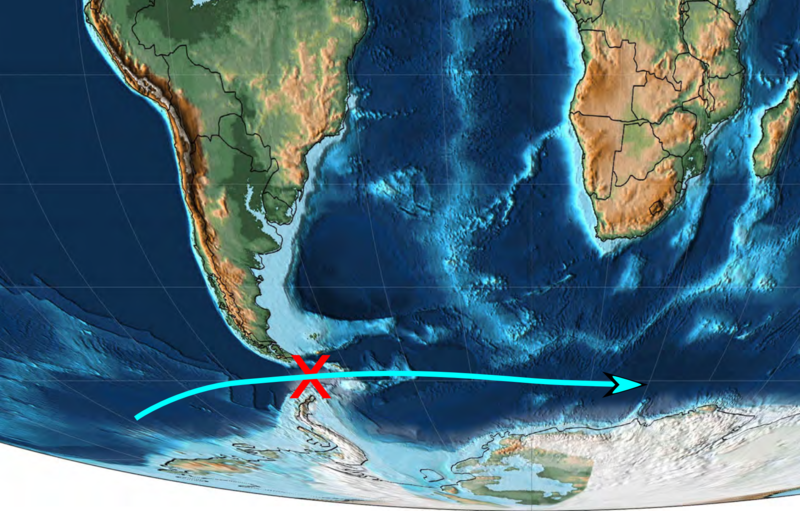 The global climate was strongly affected by the breakage of the connections from Antarctica to the South America and Australia at the end of the Eocene epoch. As a consequence, the cold ocean-current circling Antarctica started. Antarctica started to cool down and glaciers started to form. This led to the global cooling, and started developements toward our current ice age period. The glaciations bound seawater and the sealevels dropped. Eocene epoch ended 34 million years ago with a significant extinction event. The possible causes include meteorite impacts and cooling climate. Many mammals died and, for example, significant part of European mammal species was replaced with Asian species. The rain forests in the higher latitudes turned into deciduous forests; fewer mammal species lived in the trees, and the larger land animals increased in numbers. The vegetation was more open than before, but there was no grasslands yet. The large mammals were grazing in the open forests.